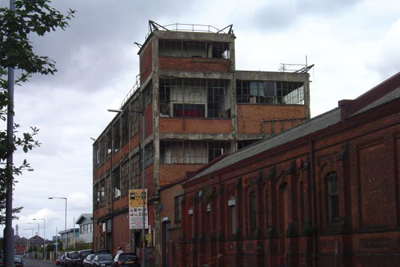 The Birmingham UK website reveal the once mighty and proud works at Birmingham Small Arms stands lonely and derelict today. The thriving manufacturer produced arms for the British Government from 1860 thru the 2 World Wars. BSA was also the Worlds largest manufacturer of motorcycless in the 1960's. The company built just about everything before it's final demise. Today, air rifles and shotguns are built at one of the old plants by BSA GUNS, but the real brand rights belong to the BSA Regal Group, a group of engineering companies in Southampton. Things are looking up for the old BSA buildings. BSA Guns is still there, and the main building has been taken over by MSL Performance, a high end automobile performance tuning center. The building has been rehabbed and the building has taken on a new life.